Guests will become images in Ireland’s mystical western landscape on this In this Thin Places tour. You will experience Ireland’s wild west, and visiting the most scenic and high-energy sites in the country. And you will see them at a leisurely pace, interacting with local experts who will share information on Ireland’s archaeology, history and mystical connections. Our guides will include Tony Kirby who offers a “Heart of the Burren” tour and archaeologist, Michael Gibbons who will guide us on our excursion through Connemara. Our area of concentration will be Counties Clare, Galway, Sligo, Mayo, West Meath, Offaly and Roscommon. And though the tour covers only the west, you will experience all of the elements of the Irish landscape – the rugged Atlantic coast, mountains, bogs, lush valleys, lakes, three islands and vibrant towns and villages such as Galway, Sligo, Westport, Clifden and Cong. You’ll travel with a small group of people who will become your friends. Our tour groups are small – 15 to 25 people – so as to be flexible and intimate. Thin Places tours allow you to experience places rarely found on most Ireland “group tour” itineraries. The focus is “thin places” or places where the veil between this world and the eternal world is thin… where both worlds are woven together. And as on all of our Ireland tours you’ll see the unspoiled hidden places. You’ll be immersed in the ancient Irish culture visiting with local tour guides. You’ll become an “image in the landscape” while peeping into the ancient past of mystical hills, holy mountains, passage tombs tombs, holy wells, monastic ruins, stunning scenery and archeological wonders. Images in the Landscape is this tour’s theme. To know thin places is to know the experience of walking in two worlds – this world and the other world. The entire focus of this tour will be envisioning yourself as an image in the timeless landscape that surpasses the boundary of time and intersects with the eternal world. You will focus of feeling that ancient energy that lives in the stones, the trees, the mountains and all the surrounding landscape. You will become part of that mystical landscape for nine wonderful days. 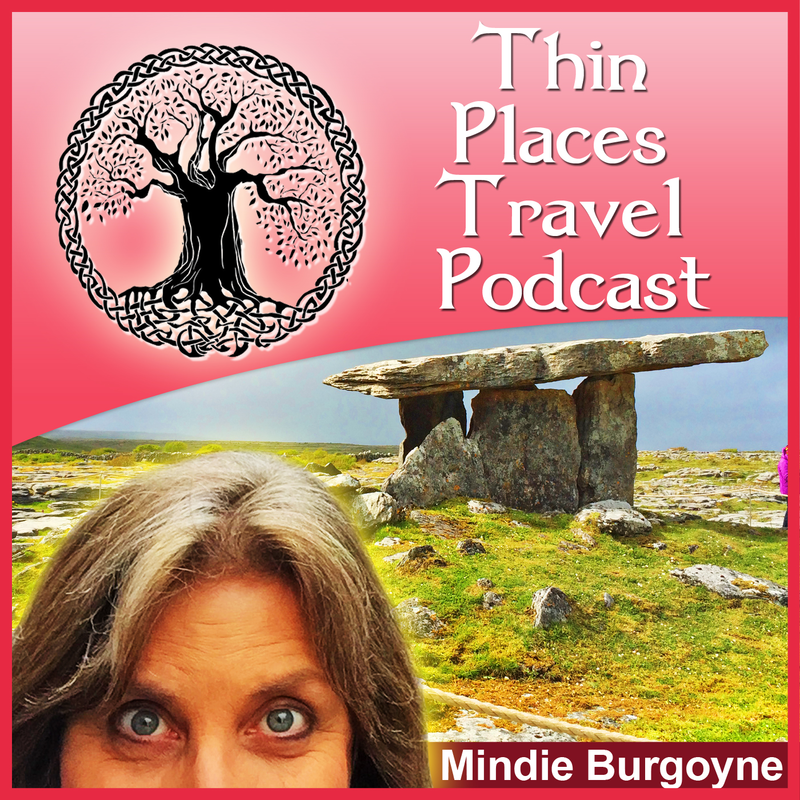 Here’s a video of your tour operator, Mindie Burgoyne talking about touring thin places. 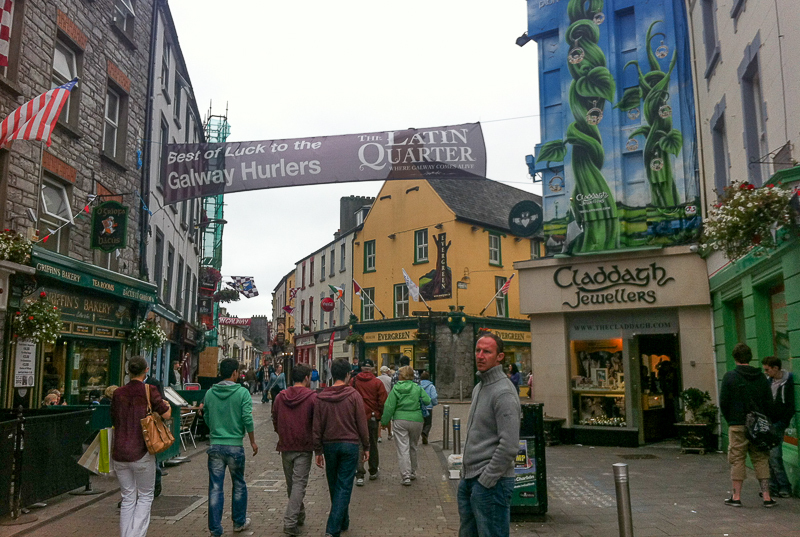 You’ll begin your tour in Galway City absorbing the vibrations of that medieval town, spend the first day meeting your fellow travelers and enjoying a welcome dinner at the Hotel Meyrick on Eyre Square. 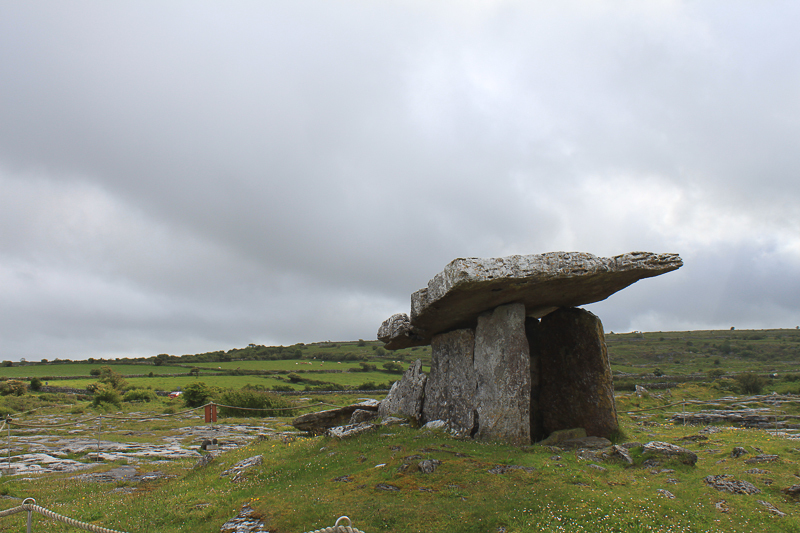 Over the next nine days you’ll travel through the Burren, a wild moonscape of rock, stone and water and home of the Poulnabrone dolmen. You’ll cruise on Lough Corrib to the tiny island of Inchagoill and see the ruins of a monastic settlement there, then cruise over to Ashford Castle and the village of Cong. 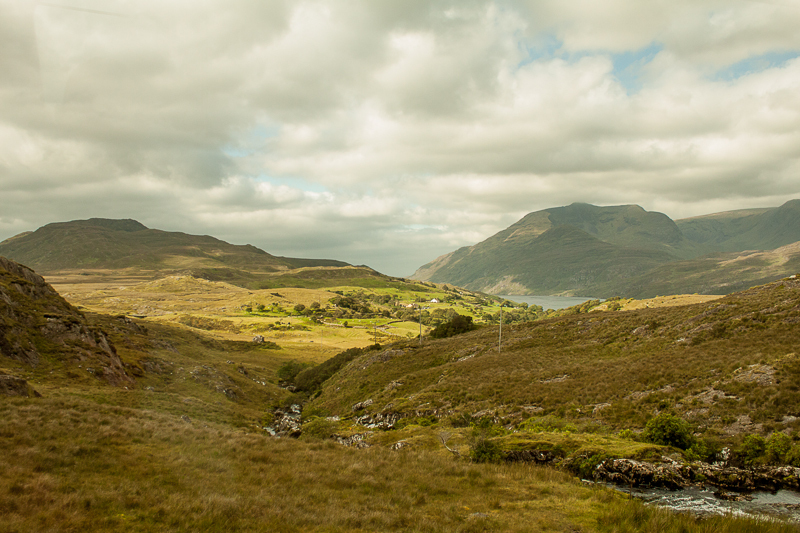 You’ll spend an entire day with guide, Michael Gibbons who will take you through Connemara where the light is different than in any other place in Ireland. 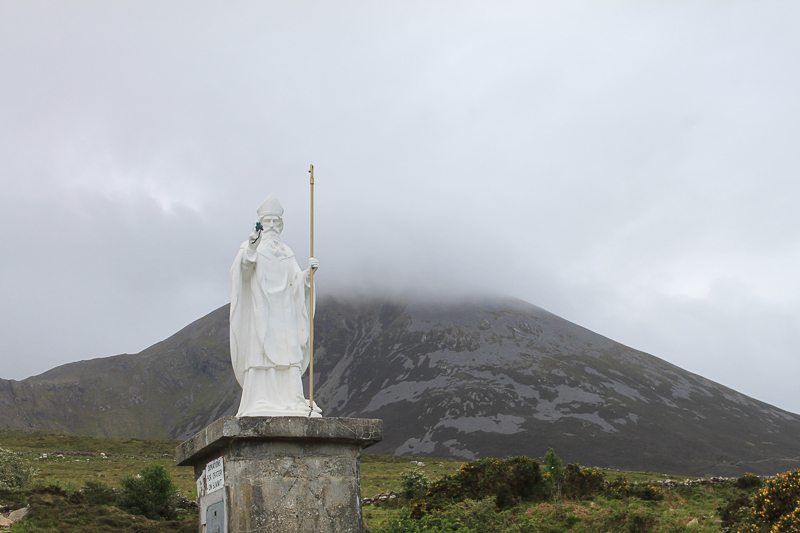 You’ll visit Croagh Patrick, the holy mountain where St. Patrick spent 40 days in contemplation, and you’ll visit Murrisk Abbey ruins on Clew Bay where you’ll be able to view some of the hundreds of islands that are scattered about the bay. You may take an optional tour of Clare Island where Grainne O’Malley, the famous pirate queen is buried. Then you’ll head to Achill Island and take one of the most scenic Atlantic drives in Europe and also visit a deserted famine village and tour Grainne O’Malley’s castle. Then you’ll head to Sligo and visit Carrowmore Megalithic Cemetery, Creevykeel court tomb and the village of Drumcliff where W. B. Yeats is buried (in the shadow of Benbulben). They you’ll venture out to Carrowkeel, a neolithic passage tomb cemetery in the Bricklieve mountains followed by a visit to Keshcorran – hilltop caves nearby. You’ll also visit the Hill of Uisneach – the mythical center of Ireland where all the ley lines of energy are said to intersect, followed by a visit to the ruins of Clonmacnoise, and ancient monastic city founded by St. Kieran on the River Shannon. We’ll have fun, too. The tour however, isn’t all just thin places and mystical sites. There will also be plenty of time for fun with overnight stays in the vibrant city centres. You’ll be able to relax, take in the music, food, culture and experience the “craic” Irish people are so famous for. Small tour group with private coach – 15 to 25 guests. This is half the size of most tour groups. It keeps us flexible, comfortable and feeling more like friends and less like cattle. More than one night stay in hotels. Except for the first and last nights, you won’t have the stress of packing and toting all your gear to get to the next place. We spend 3 nights in Galway, 2 in Westport and 3 in Sligo and 1 in Limerick. Flexible schedule – we don’t rush. We don’t rush. We leave after 9 am in the morning and we’re back by 5 or 6 pm every day. The evening are yours to spend as you wish, and on days when we’re overnighting at the same hotel, you can bow out of that days activities if you wish, and do what you want in whatever vibrant town we happen to be in. 9 nights – Stay in 3 and 4 star hotels in major city centres. Your guide and coach driver will be accompanying on all 9 days of your tour. Welcome dinner on day one at the hotel. Mid Tour dinner at hotel in Westport. Farewell dinner in Limerick on final night. Expert Private Guides for 2 excursions. 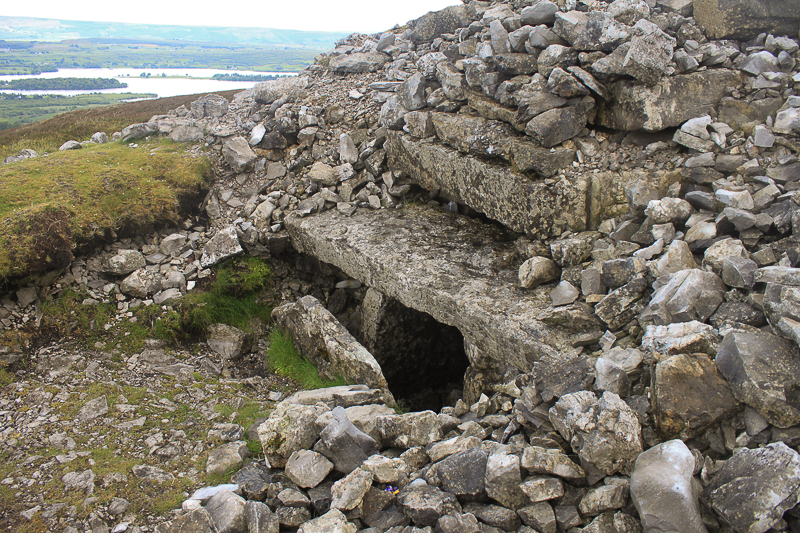 Two separate all-day tour excursions will be conductive by local Irish experts in archaeology, history and culture – Heart of the Burren Walks with Tony Kirby, and Touring the Archaeological Landscape of Connemara with Michael Gibbons. Farewell Dinner at the Clarion. Guests who have been on a previous Thin Places Tours receive a $50 discount for every Thin Places tour they’ve been on prior to 2015. Many of our guests are repeats. Themed tote bag with dowsing rods, maps and other goodies. Group Tours – Not a fan? – Many people resist group touring because they don’t want to be crowded into a bus with a bunch of people they don’t know, dumped off at random sites with limited time, spending endless hours on the road getting from one site to the next. While large group tours are much more affordable, they offer little flexibility and limited sightseeing. Self Driving can be stressful – While hiring a car and doing the self-drive tour gives you flexibility, it’s more expensive than it’s ever been for car and fuel in Ireland. And stressful with Ireland’s narrow, windy roads and driving on the opposite side of the car and roadway. Finding “thin places” is also stressful and difficult because they are often in remote spots. Much time and fuel can be wasted getting lost. We offer intimate travel with flexibility. Our tours are small (15-25) and we take our time. We visit sites most people never get to see on group tours. You’ll still have flexibility in the evening to relax, scout out pubs, shop and visit with the Irish people. All evenings are free. Staying back for a day or two to do your own thing is also an option. You will still get the individual attention you need and you’ll make lifelong friends. 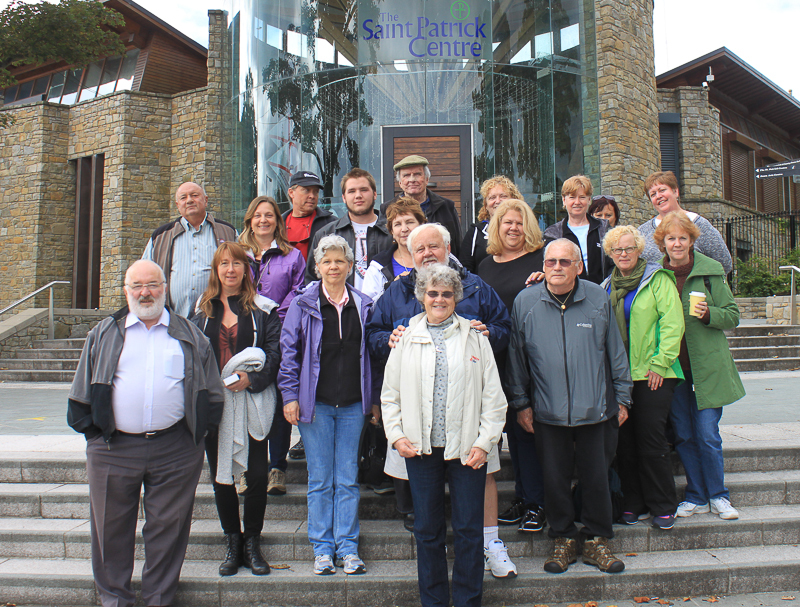 Our tours are more like retreats than mass-group tours. 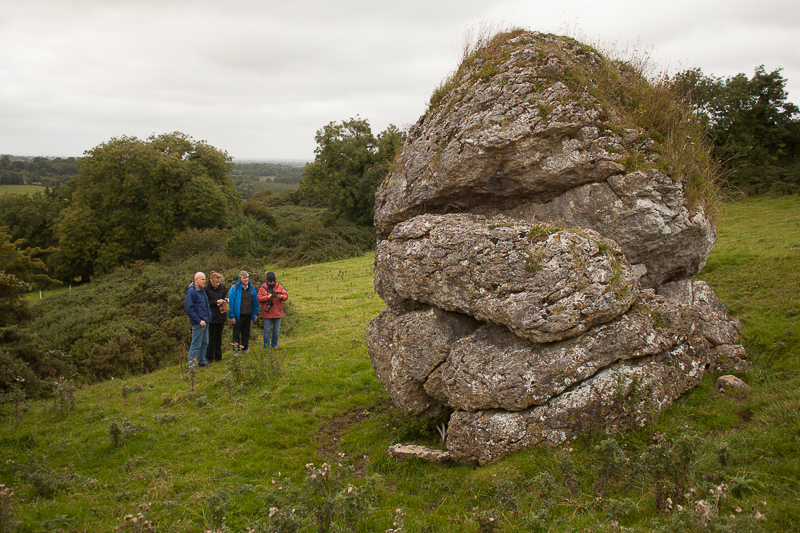 Expert Irish Site Specific Guides will be present at several of the locations including the Burren and Connemara. Cost is $2249 is based on double occupancy, and is for the land only. For single travelers there is a Single Supplement of $450. The tour cost includes lodging in 3/4 star hotels, breakfasts, welcome and farewell dinner, two island excursions (an optional island excursion to Clare Island is offered at an additional charge of $25), one mid-tour dinner, transportation, and admission costs. Scroll through the posts on this blog site to see more about the sites on the tour. Airfare is not included. We can assist with questions regarding best options for airfare and booking if necessary. Single room supplement is $450. Registration form and deposit of $500 per person must be submitted to hold the spot. Tour deposits and registrations refundable 60 days prior to the tour departure. No refunds will be given within after July 30, 2015. NOTE: We must have a minimum of 15 guests for the tour to commence. ITINERARY DETAILS – Check the itinerary to see expanded tour details. Space is limited to 25 so reserve your spot soon. RESERVATIONS: To book your reservation download the registration form, fill it out and send it in with your deposit check. Very interested in keeping in touch as we do want to travel to Ireland. Strong interest in the West Tour in September but not sure I can pull it off just yet. Would like to continue to get information. Is there a website? Was doing a search and not sure quite how I got here so may not be able to find you again otherwise… just meant to be I guess! I am interested in joining this tour (IMAGES IN THE LANDSCAPE in 2015 – Ireland’s West) with another single traveler i.e twin share. I will be traveling from Sydney Australia. Can you provide me with information regarding airfare and whether you think it’s advisable to arrive one day early. Glad we connected, Beverly. I’m anxious to meet you. I am interested in joining this tour. Can you provide advice on airfare and whether I should arrive early. Is this trip filled? Where do you fly out of the U.S. to Ireland? Is it best to meet you at the U.S. airport? I’ve never arranged my own overseas airfare. The one trip I took in 2012 to Ireland was all arranged for us. Really wanting to go on one of your trips! Hello Patricia. We have two spaces left in this tour. I’m not sure where you’re located, but the east coast airports that have flights to Ireland are Boston, New York (JFK), Newark, Philadelphia and Atlanta. I usually go through Philadelphia. I’m happy to help you figure the air transportation and fare out if you are interested in this tour. But we must get you booked quickly. This tour will be awesome. We’re seeing some of Ireland’s most beautiful hidden landscapes.